What is the Impact of the New Tax Law on Divorce? Home / Blog / What is the Impact of the New Tax Law on Divorce? It may have not gone into effect just yet, but starting next year, the stressful divorce process just got even more complicated. Effective January 1, 2019, a 75-year-old tax benefit for alimony payments between former spouses will be no more after a recent tax overhaul has recently been passed, and those that will be affected are struggling trying to figure out the best way to handle it. This controversial change is getting rid of a taxable benefit that helped the spouse who was making lower income get a higher payout from their ex, something that once this change goes into effect may no longer be an attainable goal. As it stood previously before this new tax law was passed, if the person who made more money than their spouse made an alimony payment, they would then be able to deduct that amount from their income when they went to file their taxes. Even in the best case scenario, most people do not wish to pay any more than they have to for their former spouse, but the fact that they could get a taxable deduction on that amount was one way to make this process a little easier on everyone. This is all going to change starting in 2019, as the new tax law is getting rid of the tax deduction on alimony payments in hopes of increasing tax revenues for the government. The reason for the controversy is that it was hard enough to find an agreeable number for the payment that the spouse would have to pay their ex previously, now with this tax deduction getting removed people are going to be more reluctant than ever in giving that money away. This not only makes the entire process more stressful but it puts the person who most needs these funds in an even tougher position. 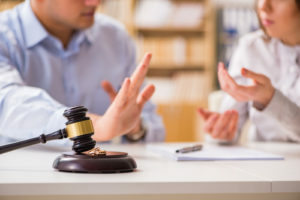 With the ever changing divorce laws it is more important than ever to have a qualified attorney such as Scottsdale Divorce Attorney Karen Schoenau to get you the compensation that you deserve. Call us at 480-725-5987 or by emailing us using the contact from on this page to schedule your initial case evaluation today.